Not your typical “marketing expert,” Meg was a serial entrepreneur trying to provide a better life for her family, with no formal business training to rely on. After immersing herself into learning everything she possibly could about Facebook Marketing, she not only became a sought out expert in her niche, but was also sought out by Facebook themselves. While employed at Facebook, Meg expanded her knowledge and experiences, while maintaining her ability to simplify material so that bootstrapped businesses could promote like pros. The desire to be more present for her family (including 4 young daughters) influenced her decision to leave Facebook and return home to a life of entrepreneurship, where she currently leverages her insider secrets to help small businesses turn their Facebook Pages into profits. Meg loves sharing insider tips and tricks with entrepreneurs and small business owners. 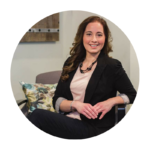 She custom crafts content to meet the needs of her audience and has produced content specific to non-profit organizations, bridal businesses, lawyers, health & wellness verticals, and more. She is always happy to provide a quote for news stories, and fits in as many speaking engagements as possible. Please email PR@MegBrunson.com for more information! multiple failed attempts at entrepreneurship. Entrepreneurship has always been an income supplement, but it's also an effective safety-net that can save your family if the rug is unexpectedly pulled out from under you. She hopes to inspire and encourage other mamas with her stories! Please email PR@MegBrunson.com for more information! Being a work at home mom is difficult, and Meg discovered that the best way to find work-family balance was to combine those 2 aspects of her life. Through involving her children (in age-appropriate ways), Meg has effectively built her business, and strengthened her family. After launching a business, her 10-year-old daughter turned F's into A's at school, and even her 4-year-old has asked to launch a podcast. Introducing business concepts into our children has numerous long-term benefits for everyone involved. Please email PR@MegBrunson.com for more information! Etched Marketing: Should Your Business Use Facebook Ads? Crisp Thinking: How will you change the way you use social media in 2018? Dara Simons: What Motivated You to Start a Home Business? NGDATA: Marketing Experts Reveal Their Single Most Effective Source for Gathering the Most Meaningfull Customer Intelligence. 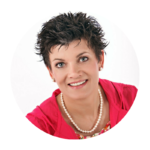 Meg is absolutely amazing at what she does to help you understand all things related to Facebook marketing. She knows the ins and outs like no one else. Meg is an exceptional instructor as well. She thoroughly explains what needs to be done and what actions you should take to get the results you're looking for. Meg is so easy to work with, you'd think you had known her for years if you've never worked with her before. I have had the opportunity to work with her on multiple projects and look forward to working with her again in the future. Thanks Meg for all your help! Meg is a Master Facebook Strategist! Meg is a master at digging into my Facebook strategy, posting, advertising, and audience. I had no idea how important audiences were! Her posts always get more engagement than I've had before. She's helped me understand why I should have a strategy, how to build out that strategy, and how to tweak and maintain it specific to my business. I don't have to go out and listen to all the noise out there around Facebook. I know Meg researches to keep up on the latest developments. She provides actionable steps to make it simple to understand and easy to implement.